Wed, 13 September 2017. The creation of new production facilities with a high level of localization for the development of industry in the field of wind power in the territory of the Russian Federation was the topic of the meeting of the deputy head of the Ministry of Industry and Trade of the Russian Federation Vasily Osmakov with the participation of representatives of the companies Enel Russia and Siemens Gamesa. Following the tender conducted in 2017, Enel Russia gets the right to construct two wind psrks in the Murmansk and Rostov regions with a total capacity of 291 MW. As a technology partner for the implementation of these projects, the joint German-Spanish company Siemens Gamesa (RAWI member) was chosen – one of the world’s largest manufacturers of wind turbines. The meeting participants discussed the prospects for the production of appropriate equipment in the territory of the Russian Federation. Representatives of Enel Russia (units of the international energy corporation Enel Group) and Siemens Gamesa noted the high potential of the wind power generation market in Russia, talked about their plans to localize key components of wind turbines in our country and shared the experience of similar projects already implemented in other countries. 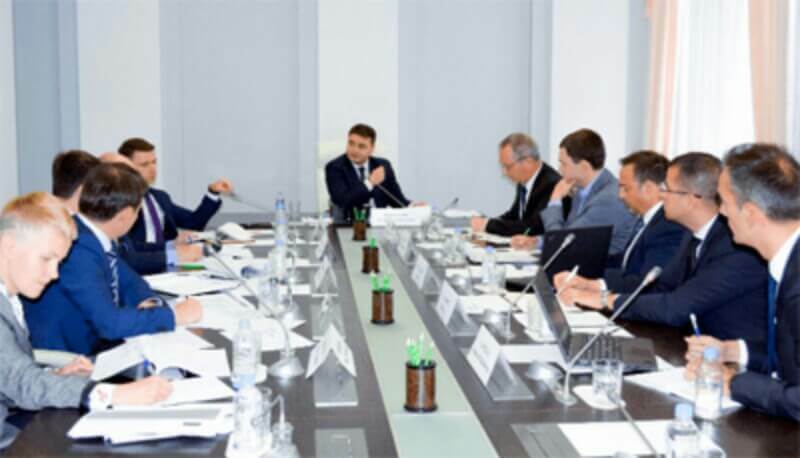 Vasily Osmakov stressed during the meeting that the Ministry of Industry and Trade of Russia is paying special attention today to the development of industry sectors related to renewable energy sources. As an example, he cited the solar energy market, on the basis of which for the last 3-4 years a new industry with a high export potential was actually created.